As a child of the 80’s and 90’s there were a lot of good cartoons that I got to rush home after school to watch. Keep in mind these are only the shows that were actually originally airing as I got to watch them, not shows long since in reruns. The many adventures of Scrooge McDuck, his nephews Huey, Dewey, and Louie, Launchpad McQuack among others. 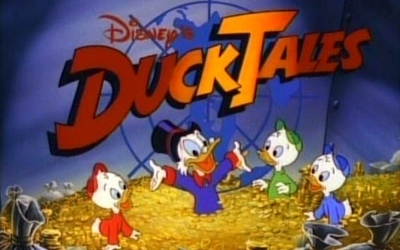 Ducktales was one of the best shows I got to watch as it aired. It was part of the disney block every afternoon alongside Darkwing Duck and Rescue Rangers. But Ducktales was the crown jewel of the shows. Of course it doesn’t hurt that it was based on the Scrooge McDuck comics that started in the 50’s, created by Carl Barks. Ducktales ran from 1987-1990 and even earned itself a full length animated movie in 1990, Ducktales: Treasure of the Lost Lamp. While I admit that this series didn’t hold up well in my more recent viewings. 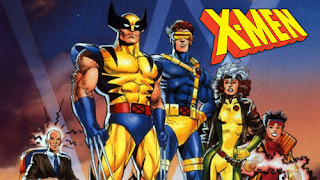 X-Men: The Animated Series was one of the shows I would get up extra early on Saturday mornings to guarantee I would have control of the TV so I could watch it. And I remember being really upset if it were a repeat of an episode that I had already seen. Which did seem to happen a lot. As I would start to read more of the X-Men comics I realized that the shows stories were changed a lot from their original tales. One of the most intelligent cartoons to come out in the 90’s Animaniacs was a must watch for it’s 5 seasons. From the Warner Brothers and the Warner Sister, Pinky and the Brain, or Mindy and her dog Buttons. You were guaranteed to find solid entertainment in an episode of Animaniacs. I have recently revisited Animaniacs on Amazon, and the show holds up on completely different levels than when I was a kid watching it. Much like the Pixar movies there are jokes for kids, but then you can watch an episode as an adult and realize that there were jokes that were designed for an adult sense of humor. 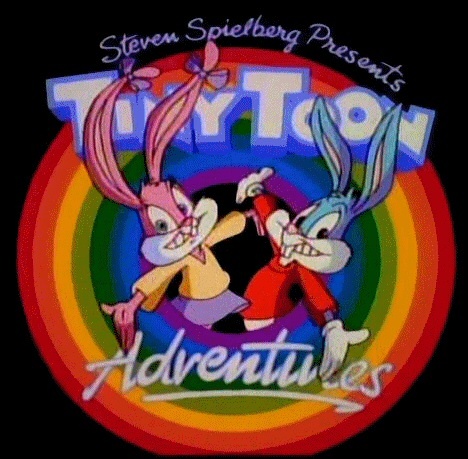 Tiny Toons was another gem in the 90’s cartoon landscape. Designed to introduce the next generation of Looney Tunes characters, Tiny Toons had a strong cast of characters and some really great segments that gave the show a strength. My favorites were always the skits to do with baby Plucky Duck and his need to make things go “down the hole”. But the other standouts included Buster and Babs Bunny, Dizzy Devil and Hampton J. Pigg. Another great cartoon from Disney. 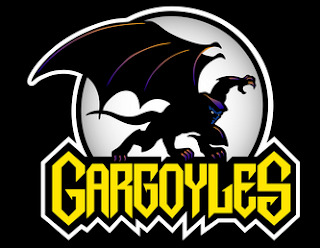 Gargoyles focused on the on a group of Gargoyles cursed in medieval Scotland to remain in stone who are awakened in modern day New York City after a thousand years of being petrified. After being awakened, the gargoyles take up protecting the city by night and return to stone at sunrise. Another strong point to the show was the voice talent involved. Jonathan Frakes, Kate Mulgrew, and Keith David just to name a few. Okay I saved the best for last on this one. 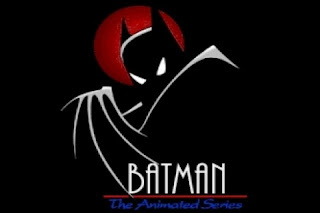 Batman the Animated Series is still the best interpretation of Batman of the character and his large cast of villains and side characters outside of the comics. Paul Dini and Bruce Timm put together four seasons of amazing tales that both re-imagined pre-established characters and created new characters that were later made a part of the main comic continuity like Harley Quinn. And who could forget the episodes that completely changed the face of what a cartoon show can be like “Heart of Ice” or “Over the Edge”.